One whole men’s shirt and sewing project leftovers of men’s shirt pieces are transformed into a shirt dress with bow waist tie. The main materials for this DIY Fashion project were pieces from three men’s shirts. Basic machine sewing supplies completed the list. 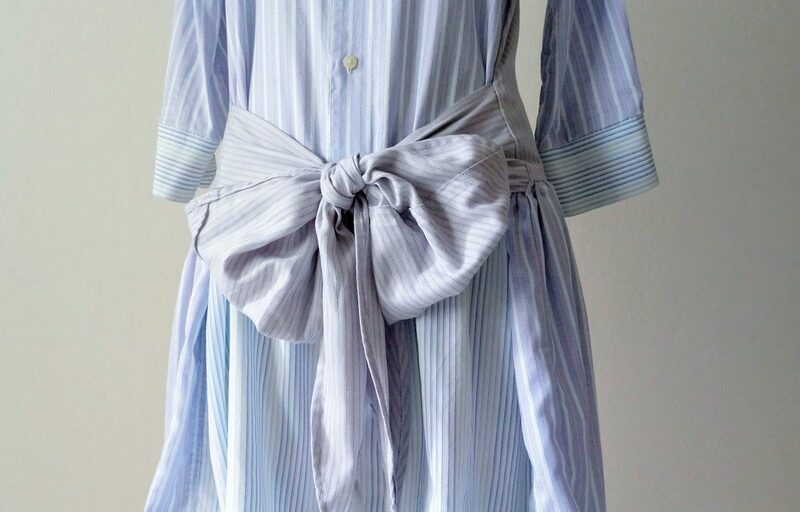 Read more about this project by visiting DIY Shirt Dress with Bow Waist Tie post. The shirt dress with bow is made with combined parts of three men's shirts. The bow ties can be tied on the front or back.